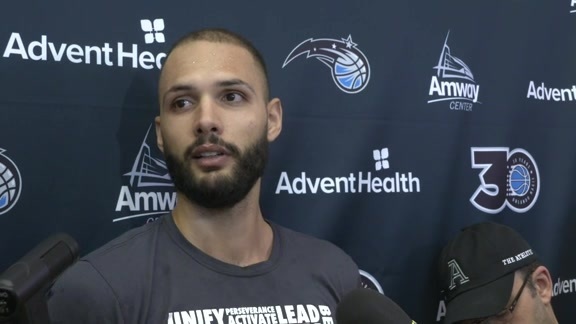 Orlando Magic forward Evan Fournier takes great pride in his diverse lineage, boasting regularly to teammates that he has both French and African roots in his family. 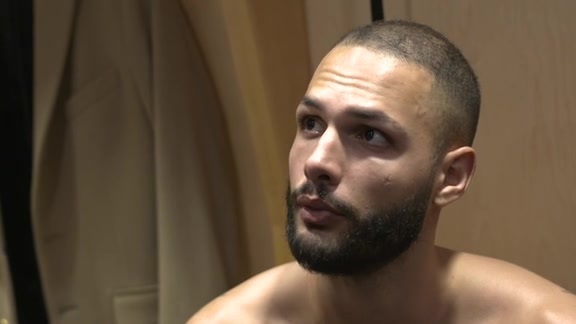 Fournier had a great chance to honor his mother’s Algerian heritage on Saturday when he lined up a 3-point shot that could have put Team Africa in position to win NBA Africa Game 2018. However, when Fournier’s 3-point try was a bit strong with 14 seconds remaining, Team Africa had to settle for a 96-92 loss to Team World in the exhibition game from Sun Arena Time Square in Pretoria, South Africa. Fournier, a French citizen who grew up near Paris, played for Team Africa in the exhibition as a nod to his mother, Meriem Fournier, being born in Algeria. 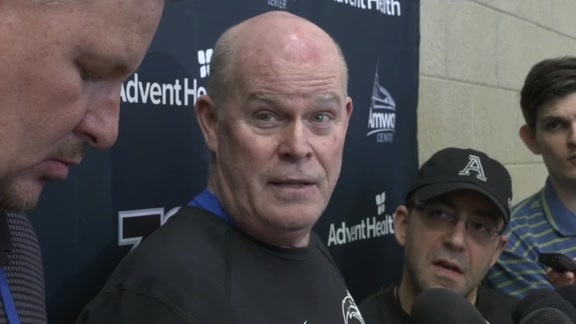 Forced to play point guard because of the imbalance of big men on the rosters, Fournier struggled with his jump shot much of the game, but still finished with 10 points, four rebounds and two assists in 26 minutes. Fournier, the Magic’s leading scorer last season at 17.8 points per game, made only two of 12 shots. Both of his baskets came from 3-point range, but he missed seven other tries from beyond the arc – including the open look with 14 seconds remaining that could have potentially tied the game at 95. Seconds later, Portland forward Al-Farouq Aminu, a Nigerian native, missed another 3-point try, sealing the final result. Becky Bonner, the Magic’s Director of Player Development and Quality Control, and Orlando Director of College Scouting Prosper Karangwa also participated in the all—star game and week of events. Los Angeles Clippers forward Danilo Gallinari, who made nine of 10 shots and scored 23 points, won MVP honors. Philadelphia 76ers superstar Joel Embiid, a Cameroon native, scored 24 points, grabbed eight rebounds and handed out four assists while trying to lift Africa to its first victory in the three-year history of the NBA Africa Game. The event was the NBA’s 16th Basketball Without Borders in Africa and the third Africa Game. The World all-stars won 101-97 in 2015 in Johannesburg and also captured a 108-97 victory in 2017. Magic center Nikola Vucevic competed in last year’s game and even got the chance to compete against Hall of Fame center Hakeem Olajuwon in the game and during practice. Through the years, Basketball Without Borders has produced 55 campers who have been either drafted or signed by an NBA team, including Embiid, Gallinari and Toronto Raptors forward Paschal Siakam. Embiid has said he plans to participate in the NBA’s Basketball Without Borders each year going forward because of what the event meant to him when he was but a teenaged prospect back in 2011. This year’s Basketball Without Borders in Africa featured 78 of the top boys and girls players from 29 countries on the continent. Basketball Without Borders, which was started in 2001, has staged 54 camps across six of the seven continents. During the NBA’s stay in Africa, players put on camps for young players, held open practices for fans and also built homes for those in need as part of the Habitat For Humanity. Players, coaches and executives helped to build 10 homes near Johannesburg for disadvantages families. Several NBA players also went on a safari sightseeing trip and got a chance to get up-close looks of some of the wildlife in Africa. In addition to NBA Commissioner Adam Silver, NBAPA Director Michelle Roberts former all-star forward Carmelo Anthony attending the game, legendary Hall of Famer Kareem Abdul-Jabbar was honored by fans with a warm ovation. The NBA’s all-time leading scorer even taught campers how to shoot his famed ``sky hook’’ during camps throughout the week. On Saturday, Fournier teamed up on Team Africa with Biyombo and Serge Ibaka – former teammates of his in Orlando. Ibaka played for the Magic during part of the 2016-17 season, while Biyombo played for the Magic for two seasons from 2016-18. Ibaka had seven points and three rebounds on Saturday, while Biyombo had nine points, six rebounds and one blocked shot. The Magic traded Biyombo to the Charlotte Hornets for center Timofey Mozgov in early July. Dallas forward Harrison Barnes chipped in 14 points for Team World, while JaVale McGee, Hassan Whiteside and Marvin Williams each chipped in 11 points. Milwaukee Bucks forward Khris Middleton scored 10 points for the World, which shot 46.2 percent and made 12 of 35 3-point shots. Team Africa shot just 42.7 percent from the floor and made only five of 30 threes.